South Africa has one of the highest burdens of drug-resistant tuberculosis (DR-TB) worldwide, with a conservative estimate of 13,000 new cases emerging each year.1 Treatment options for DR-TB are limited as no new drugs to treat tuberculosis (TB) have come to market in the last 50 years. To date, if treatment is failing using the few drugs available, which are mostly very expensive, have severe side effects and long treatment periods, patients are left with few other treatment options and most will die. A new drug, bedaquiline (formerly known as TMC207) now offers hope for these patients. Yet despite positive outcomes in early clinical trials and recent agreement for a fast-track regulatory review in the United States and compassionate use in several European countries where the DR-TB burden is comparably low, the drug is not yet made available for patients in desperate need in South Africa. Since July 2011, MSF, TAC, the Southern African HIV Clinicians Society and other concerned health activists, patients and health care workers have been pushing with the Medicines Controls Council (MCC) for bedaquiline to be made available to South African patients under ‘compassionate use’ utilising section 21 provisions of the Medicines Control Act, to little effect. What is Bedaquiline and why is it important? Bedaquiline, previously known as TMC207, is the first compound from a new class of drugs called diarylquinolines. These are currently being developed to treat drug susceptible (DS-TB) and DR-TB by the pharmaceutical company Janssen Infectious Diseases (formerly known as Tibotec , now a subsidiary of Johnson & Johnson). In late June 2012, Janssen requested that the U.S. Food and Drug Administration (FDA), a US Government body charged with the regulation and supervision of pharmaceutical drugs, give priority review to bedaquiline. In September 2012, the FDA agreed to the priority review due to its recognition of the drug as a potential major advance in a disease area where the current therapeutic options are lacking2 and is expected to rule on conditional approval of bedaquiline for treatment of DR-TB by early 2013. This new drug comes at a time when DR-TB patients desperately need more options: DR-TB can be deadly, and while treatment options do exist, they are extremely limited, expensive, painful and require long treatment periods. Mortality from DR-TB varies between settings but is generally high. A study from In KwaZulu Natal showed that mortality one year after diagnosis was 71% for multidrug-resistant TB (MDR-TB) and 83% for patients infected with extensively drug-resistant TB (XDR-TB).3 While other settings, including Khayelitsha, show better survival for most DR-TB patients, mortality for patients with XDR-TB and pre XDR-TB (resistance to one of the main second-line drugs, but not both) remains very high. While bedaquiline is undergoing Phase III trials, Phase I, Phase II and IIb trials have shown the drug to be safe and effective.4,5 A published phase II trial conducted in 2009 showed that utilising bedaquiline in a multi-drug treatment regimen increased sputum culture conversion from 9% to 48%; it also reduced the time it took for sputum-negative conversion by 58%. These data suggest that bedaquiline could significantly reduce the treatment period and markedly reduce the debilitating and dangerous side effects associated with some of the existing drugs. Bedaquiline turned down for 'compassionate use' in South Africa? In light of the high burden of DR-TB in South Africa, and the need for alternative treatment options for patients who have very poor chances of cure with existing treatment regimens in Khayelitsha, Janssen, in collaboration with MSF, applied for ‘compassionate use’ of bedaquiline in July 2011. This was done in terms of Section 21 of the Medicines Control Act, as previously used for compassionate use in South Africa. Notably, the anti-malarial drug Artemether has most recently been approved for compassionate use in South Africa. ‘Compassionate use’ allows for potentially lifesaving investigational drugs or experimental treatments (with good efficacy and safety in trials, but which haven’t been registered for market use) to be made available for patients suffering from a disease for which no satisfactory authorised therapy exists and/or who cannot enter a clinical trial. While the MCC initially allowed MSF to use bedaquiline under Section 21 for DR-TB patientsin whom standard treatment was failing, this permission was revoked through verbal communication from the MCC to Janssen in November 2011. This was before any DR-TB patients in Khayelitsha were able to access bedaquiline, as the process to seek local ethical review in addition to MCC approval was still underway. It is understood that there are general reservations towards compassionate use of any new drugs by some MCC advisors, with an apparent lack of safety data for bedaquiline cited by the MCC as the reason for refusing compassionate use (as only phase II has been completed). Why does MSF believe ‘compassionate use’ of bedaquiline is essential? There are several precedents for compassionate use in South Africa, e.g. for the malarial drug artemether and the antiretroviral lopinavir/ritonavir. 'Expanded Access' - Another way for South African patients to access Bedaquiline? On refusing access to bedaquiline on compassionate use grounds, the MCC instead requested for access to bedaquiline to be obtained through a clinical trial approach. Verbal communication suggested that a ‘clinical access’ protocol incorporating monitoring to a standard similar to that required for clinical trials would be considered . In response MSF, Janssen, the HIV Clinicians Society and the National Department of Health (NDoH) put together a proposal for a Clinical Access Programme protocol, which would allow for early use of bedaquiline in several well-supported sites with extensive DR-TB experience across South Africa. The Clinical Access Programme is not a clinical trial, but is designed to provide early access to bedaquiline whilst awaiting completion of the phase III trial. This proposal was submitted to the MCC by the NDoH in early October 2012. A response received subsequently stated that the proposal was rejected by the MCC as it did not fulfil all the requirements of a clinical trial. In the meantime, the drug manufacturer Janssen has requested that the MCC fast-track the review of bedaquiline when this is submitted in South Africa, pending the FDA decision in early 2013. The MCC has even more reason to give priority to the review of bedaquiline for approval in South Africa — the country with one of the highest burdens of DR-TB anywhere in the world. July 2011: After discussions with MSF, Janssen submits request to the Medicines Control Council, asking for Section 21 compassionate use permission to use bedaquiline in the Khayelitsha DR-TB program for a six-month period. April 2012: Public letters to the MCC, expressing concern over revocation of compassionate use approval, and demanding permission to access TMC 207, are sent by MSF and the HIV Clinicians Society, along with individual clinicians, as well as a separate letter from the Global Tuberculosis Community Advisory Board, the Southern African HIV Clinicians' Society, The AIDS & Rights Alliance for Southern Africa and the Treatment Action Campaign. May 2012: The MCC responds, refusing to allow for compassionate use and instead calling for bedaquiline to be obtained through a clinical trial approach. May-July 2012: MSF, Janssen, the HIV Clinicians Society and the National Department of Health put together proposal for a Clinical Access Programme protocol, which would allow for early use of bedaquiline in several well-supported sites across South Africa, Communication from the MCC indicated that the proposal would be looked upon favourably, and quickly. 29 June 2012: Janssen requests priority review by the US FDA for its submission of New Drug Application for bedaquiline. July 2012: Proposal for a Clinical Access Programme completed and sent to the National Department of Health’s TB Programme. Submission of this protocol by to the MCC. 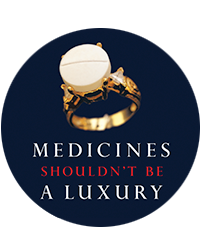 31 August 2012: Janssen submits a market authorisationapplication to the European Medicines Agency seeking conditional approval for bedaquiline. This is still being considered. 5 September 2012: The FDA agrees to give priority review for bedaquiline; the outcome of which is expected in early 2013. September 2012: MSF issues a press release noting with concerns the hurdles set up by the MCC and NDoH, blocking access to bedaquiline for patients who need it most. From the time that MSF originally submitted a request for bedaquiline access through compassionate use, several DR-TB patients who had no other options and were reliant on bedaquiline access for another chance at successful treatment subsequently died. October 2012: Clinical access proposal submitted to the MCC by NDoH, with subsequent rejection by the MCC as does not fulfil clinical trial requirements. 1 World Health Organization: Towards universal access to diagnosis and treatment of multidrug-resistant and extensively drug-resistant tuberculosis by 2015: WHO progress report 2011. Geneva: World Health Organization; 2011. 3 Gandhi et al. “HIV co-infection in multidrug- and extensively drug-resistant tuberculosis results in high early mortality”. Am J Respir Crit Care Med, 181, 2010. 4 Diacon AH, Pym A, Grobusch M, Patientia R, Rustomjee R, Page-Shipp L, Pistorius C, Krause R, Bogoshi M, Churchyard G et al: The diarylquinoline TMC207 for multidrug-resistant tuberculosis. N Engl J Med 2009, 360(23):2397-2405. 5 Diacon AH, Donald PR, Pym A, Grobusch M, Patientia RF, Mahanyele R, Bantubani N, Narasimooloo R, De Marez T, van Heeswijk R et al: Randomized Pilot Trial of Eight Weeks of Bedaquiline (TMC207) Treatment for Multidrug-Resistant Tuberculosis: Long-Term Outcome, Tolerability, and Effect on Emergence of Drug Resistance. Antimicrob Agents Chemother 2012, 56(6):3271-3276. 6 Bangladesh, Belgium, Germany, Georgia, Greece, Italy, Nepal, Peru, Switzerland, the United Kingdom, and France have all allowed for bedaquiline use under the compassionate use framework. Russia and Lithuania have allowed for bedaquiline use through an “expanded access” clinical trial programme.